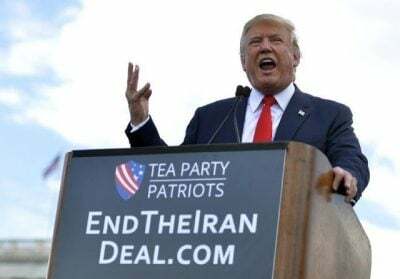 Selected Articles: Will Trump End the Iran Nuclear Deal? US President Donald Trump is set to declare his decision on the Iran Nuclear Deal before the deadline on May 12. Should Trump decertify the Joint Comprehensive Plan of Action (JCPOA), he is not only compromising the possibility of dialogue with Iran but more so risking the world towards annihilation. Is the world ready for the turnaround? Will PM Benjamin Netanyahu achieve his goal behind his presentation of baseless claims on Iran’s nuclear arsenal? Read our selection of articles below and share it far and wide. Let us fight against media disinformation and push towards a world of peace. Precisely because of the initial favorable response among the participants, the Israeli government escalated its propaganda war against Iran. Its agents in the US Congress, the mass media and in the Executive branch moved to undermine the peace process. What is at stake is Israel’s capacity to wage proxy wars using the US military and its NATO allies against any government challenging Israeli military supremacy in the Middle East, its violent annexation of Palestinian territory and its ability to attack any adversary with impunity. He addressed many issues from internal affairs, competing factions within the Islamic Revolution, to external relations – and the economy. He also referred to The Joint Comprehensive Plan of Action (JCPOA), commonly called the Iran Nuclear Deal, the international agreement on Iran’s nuclear program, reached in Vienna, Austria, on 14 July 2015. The accord is barely two and half years old and already breached by one of the five main-sponsors, the United States of America.